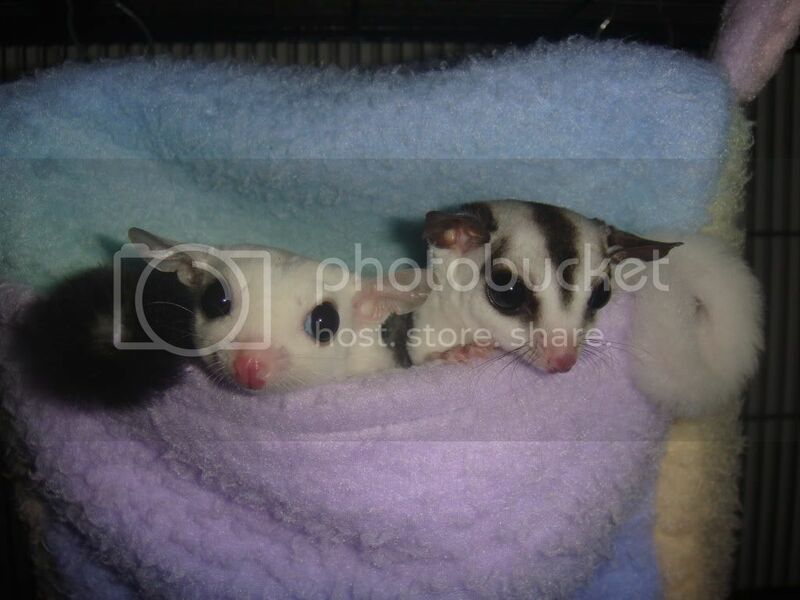 Register Log In GliderCENTRAL Forums Breeding & Babies Breeding 101 Breeding for Colors Color and Genetics? Okay, so here's what I know. Leucistic - both parents must carry the gene to produce a Leu. Mosaic - only one parent need carry the gene to produce a Mo. What are the genetics for the other colors? Is there a list available that explains the genetics for all the colors? Thanks for the help. I just want to know what I "might" be getting into with breeding for specific traits/colors. Albino is like leu, both parents must carry the gene. Last edited by Chris_R; 08/23/11 12:23 PM. We think plat geneworks with the leu gene in a way so you can have a platinum that, when paired w/a leu or leu het will produce both plat and leu joeys but I don't believe you can have a glider that is het for both. If the glider is 'het' it is for one or the other. Make sense? Edit: I just re-read, I know it sounds clear as mud! Last edited by tjlong; 08/23/11 01:19 PM. 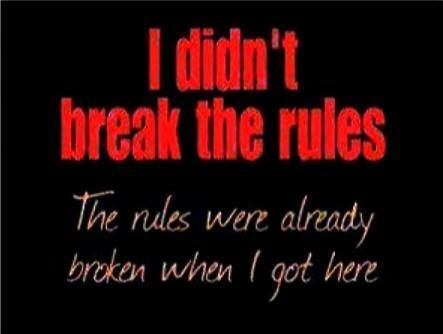 yep, Im sure Im as clear as mud too! So if I was to receive a Platinum, then a Leu or Leu Het and bred them, there will be a "good" chance to receive both Leu AND Plat babies? That's not TOO bad a deal...unless of course there is a stigma on breeding Plats to Leus? Or I'm wrong. HA! Last edited by B3N; 08/23/11 04:47 PM. There is only a chance if the Platinum has Leu in the genes, and the Leu/leu het has Platinum in its genes. Ive seen people have joeys listed 100% lue het 66% plat het is this possible? I have been looking at the plat leu het gliders lately so it must be possible to have both I mean if you breed a platnimun with lue het genes with a lue who has plat genes no matter what color you get they will be het for the other color right? Also is it possible if your glider has the plat gene like 2 or 3 generations back and is paired with a plat can they still possibly get a plat from that long ago gene being there? Ok now I sounds as clear as mud too...maybe with all mixed our brains with a bit too much leu and platinum...lol!!!! I'm not mad at ya Connie. It's definitely a confusing mix. I guess my concern would be stemmed at how close the lines would be related in terms of Platinum X Leu. Or even Platinum Leu Het to Leu Het and vice versa. Yes they can carry both. You can get plats from parring a plat to plat or a plat to plat het or a plat to a lue or a plat to a lue het. The plat and lue gene have been proved to work together. So if you have a Plat that is also a lue het paried to a lue you can get plats or lues. I am still not sure how all of it works completley, but I do know that the percentage only means, that is the chance that the glider has of carring the gene. If you have a glider that is 66% it is not a gareentee that the glider carries the gene at all it just means they have a 66% chance of carring it. I was shocked when I got a lue from my 2 wf's never was excpecting it, one was a 50% lue het and the other was only 15% but they either have it or they don't. 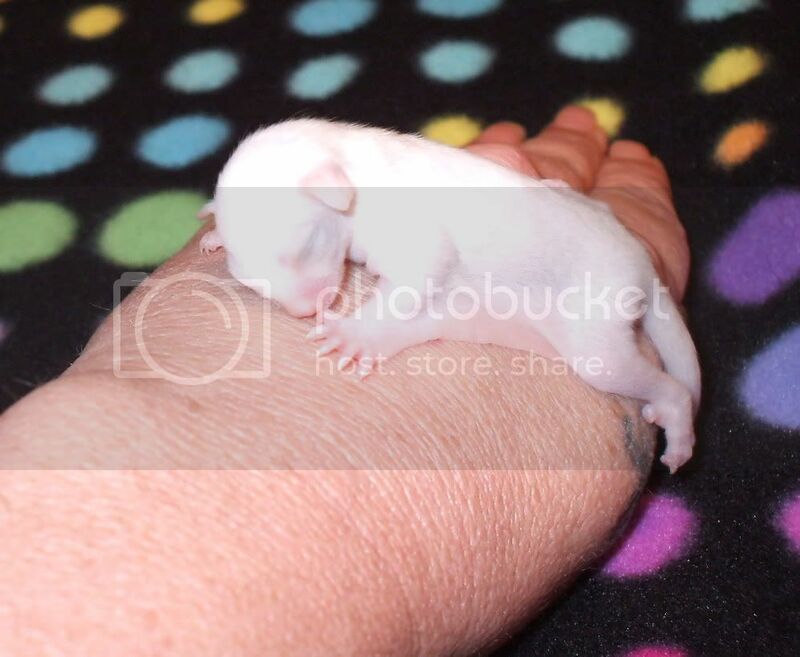 Allot of good breeders, can tell if a baby carries certian genes by the coloring or somthing in the way they look. Last edited by jen102375; 08/24/11 11:18 AM. Jen102375, under most circumstances your explanation of percentage of possiblity for a glider to be het is correct. However, in the case of a normal colored glider that shows a percentage of het possibility for both leu and platinum I am pretty sure most breeders believe that glider will only be able to carry one or the other but not both genes. This is for the normal colored gliders. It gets confusing. Edit: I have to mention we are just talking color here. Relationship, temperament, health of the gliders and many more things should be considered as well. Last edited by tjlong; 08/24/11 12:03 PM. Tracy, this is why I'm asking so I totally agree. I just saw the Platinums that have surged over the last year and I find them ALMOST as adorable as Leus. How are the lines in terms of inbreeding though? Will there be low COI's with breeding Leus to Plats? If I want both, is my "pairing" to be a Platinum Glider that is 100% Het for Leu with a Leu that is 100% Het for Plat? Sorry if that's confusing. I just want to make sure I do it right. 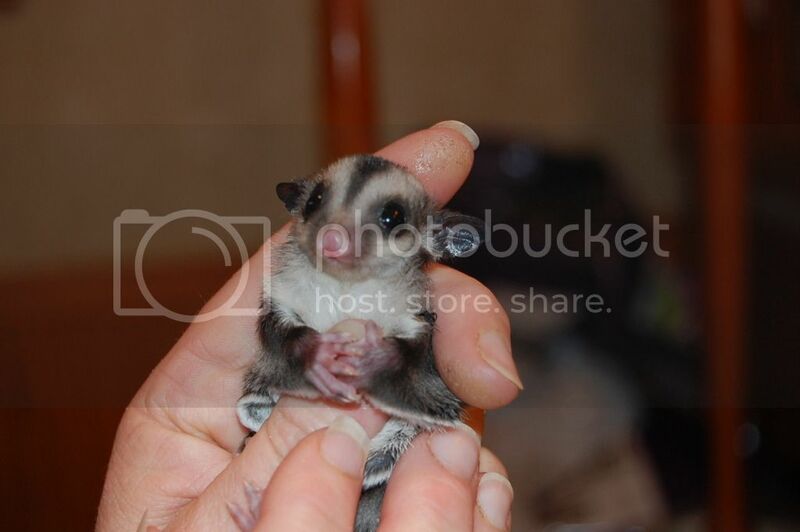 I don't really want to be a breeder right off the bat but I know I want to have a glider family. Probably 4 total. One plat and one leu would be great. I just want to make sure I do it correctly. Anyone feel free to PM me too if you can make better sense of it all. Actually Tracy, It has been proven recently by a couple different breeders that the indeed they can carry both. One has a plat/ lue het paired with a lue and they have gotten platinums and lues from the pair. Now the Plat has to have the lue het in order to get lues. Or if it didn't have the lue het then they would get Platinum and no lues. 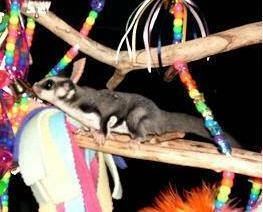 I would not be breeding if I didn't feel comfortable enough with my knowledge for breeding colored gliders. I believe itn takes alot to breed but I thank that truely we dont know everythang about genes it just takes time to figure it out.I just know ive looked at alot of joeys lately and when looking at there linage ive seen parents one be lue plat het one being plat lue het have one joey being a lue and one being a plat.Myself i believe they can carry both but im not a breeder i just rescue hoping one day to breed i know theres alot to learn im willing to do so. This is why when listing het babies they are listed or should be listed as 50% leu het 50% platinum het or half of what the parent % is because you aren't sure which gene was passed on to that baby. Leu babies that come from a leu/Plat pairing are not plat hets or they would display the color and will not go on to produce plat unless paired to a plat or plat het. They won't produce plat if paired to a leu het. Like I have a 50% plat het paired to a leu. Which is Jen's boys brother. Delilah is a leu and Baby Lopez is a 50% plat het 50% leu het. So far they've only made hets. The hets are 100% leu het because of mom BUT are only 25% plat het until hopefully daddy proves out some day then they'd go to 50%. Last edited by finnessa; 08/24/11 03:26 PM. Okay, I don't want to seem like I'm beating a dead horse but here's my question revised. I asked it in a PM but having more than one opinion is great. My initial question was about the Hets pairing up. But the actual question is the same but with NORMAL COLORED GLIDERS. So the pairing is this. Standard Grey 100% Het for Leu X Standard Grey 100% Het for Plat. Will this pairing produce both colors or neither? And basement update for some, bleaching the walls today to KILL THAT MOLD, ha. I believe that potential pairing, if the gliders prove out could produce a platinum. It would not produce a leu. It will also produce standard grey, 50% plat het, 50% leu het offspring. I'm sure someone will correct me if I'm wrong. I have attached a Percent het chart that you can open and look at. It may help you understand the %het that two parents would produce. I think shelly is right if you do not have the leu gene in both gliders they can not produce another leu but would produce leu hets or plat hets. You may have a chance of getting a platinum out of it though. From what I've been reading some believe that the plat gene will work with the leu gene to produce a platinum. So ideally if you want the chance of a leu or a platinum I would go with a leuistic glider paired with a platinum leu het...better yet if you can find a leu plat het and a plat leu het...that would give you all possibilities but no guarantees. I wish someone would write a book explaining all about the glider genetics and how it all works. I would love to have something like that to really be able to just sit down and read everything I can about it. I have been talking to a girl who is just a senior in high school and planning to go into genetic engineering and she is very interested in learning about the glider genetics so I am hoping she will keep studying and be able to tell me more about iit. That's what I thought/feared. I like the Plats, don't get me wrong but with the "market" the way it is for them today, I can't picture spending that much for one. I think I'll stick to my original idea and have 2 100% Leu Hets breed for a chance to have a baby Leu. I don't want to breed to sell, I just saw all the pictures of the Leus from birth and on and I HAVE to be able to experience that. Breeding an 100% leu het to another 100% leu het is exactly the same as breeding leu to leu, isn't it? I believe it is mostly not done, as the lines aren't bred out enough yet. I dont believe breeding 100% lues is the same because they are not lues they just carrie the gene, Im pretty sure im right but im not a breeder! But i believe thats what most people buy when they want to have a lue baby! Its not forsure that they will have them but there is a chance. That's what I learned Alden when I first researched colors last year. Leu to Leu breeding is very frowned upon. There hasn't been any TRUE research really but no one is really brave enough to try other than a remote few people. Most people, from what I've gathered, breed Leus to 100% or lower Leu Hets, so what I'm doing is going one step further to lower COI's and inbreeding risks by taking 2 standard greys that happen to be 100% Leu Hets. That gives me a 1 in 4 chance that a baby will be a Leu. I was told that was my safest and smartest bet to make sure the inbreeding stops. Last edited by B3N; 08/25/11 04:10 PM. Ben keep your eyes open because sometimes you can find amazing deals on the leus. How much would you be willing to spend? I got one of my leus for $400 because the breeder said she was crabby the other sweetheart mosaic glider was very expensive and she ended up being sooo crabby and the leu is a sweety. I wonder. If you breed two standard greys will any color mutations show? The only breeding experience I have is with snakes so I'm curious how glider genetics work. If you breed two standards that are not het then they will only have standards maybe bb.It all depends on there linage! Thanks Connie. I still have a while yet before I can even get the buggers so hopefully I'll be able to find some good prices. Just from this thread I have some great prospects!